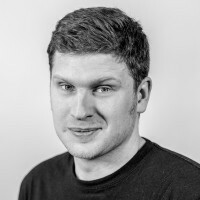 Andrew Quinn is an Advanced Audio Designer at Rocksteady Studios who has worked on Batman: Arkham VR, Batman: Arkham Knight and Batman: Arkham Origins. Batman: Arkham VR is a story driven VR experience where the player becomes the BATMAN. This talk is NOT about HRTF, inter-aural delay or sound propagation. This talk is about telling the story with audio in a VR experience, using it to maintain player immersion and how sound is used to support VR gameplay.